Dr. Ziyang Zhou, acupuncturist and herbalist in Austin, Texas, comes from a family of eight generations of specialists and innovators in Traditional Chinese Medicine. 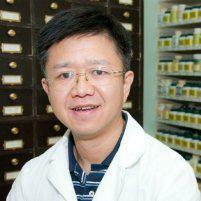 He specializes in treating fatigue with acupuncture and Chinese herbal medicine. Scroll down to read more. Why Use Acupuncture for Chronic Fatigue? Low energy or fatigue can be a result of many diseases and illnesses. It includes Chronic Fatigue Syndrome (CFS). Conventional treatments for that include pain medications, muscle relaxants, anti-anxiety medications, and antidepressants often have unwanted side effects and yield limited results. Because sufferers of CFS are often unable to find relief from traditional physicians, many have looked to alternative methods as a supplement or replacement for their current treatment. For many, acupuncture is effective in treating some of the hardest-to-treat CFS symptoms. Individuals suffering from CFS often have deficiencies in their yin or yang or both. Though opposite types of energy, both yin and yang need to be in perfect balance to function in harmony with each other. When this imbalance is corrected, a patient’s immune systems is boosted. This correction releases endorphins that prompt the body to produce natural antibodies that improve cognitive dysfunction, fatigue, pain, and sleep dysfunction. Acupuncturists know that many people with CFS have either a deficiency or an over-abundance of qi in their kidneys, lungs, and liver. Qi is the vital energy that flows through your body and can be balanced through the proper application of acupuncture. By balancing the qi, acupuncturists can often provide fatigue sufferers a reduction in their overall symptoms. Moxibustion employs the burning of the mugwort herb while stimulating various pressure points on the body. Moxibustion is effective in reducing the severity of the fatigue aspect of CFS. Many patients who undergo this therapy experience a marked increase in their energy levels, especially after the cumulative effects of several sessions. Acupuncture is a not a cure for chronic fatigue syndrome. It does, however, offer the potential for encouraging natural healing which can improve a person’s quality of life dramatically.